One of the most remarkable things I think I’ve ever witnessed, via the wonders of the internet after leaving Belfast, was seeing Van Morrison playing sold-out shows on Cyprus Avenue. Off the back of a mobile stage truck. A sublime idea, bringing the man back to the place that inspired him so. I had heard about the show in advance, friends of friends had come up with the concept as part of the East Belfast Arts Festival, an idea that at the time must have seemed like lunacy. Morrison had played the festival previously, but that was in a nice marquee, in tree-lined a park. This was going to be a different ball game. Cyprus Avenue is a residential street in East Belfast, lots of nice houses and lots of busy people with things to do. If it was going to happen it was going to have to be quick and dirty. In and out, with as little inconvenience as was humanly possible. Any event would necessitate all kinds of council sign-offs and legal requirements, licensing, crowd control, physical infrastructure, bars, bogs and closing roads at either end of the Avenue, creating its own chaos. That the BBC were on board was bound to complicate things further, broadcast trucks are not small, neither are the cranes that would be used in filming. Time was of the essence. In a very short time you would have to build an event space and deliver a VIP littered show on a street where you can imagine not everyone would be happy with the idea. You would have to figure all that out before approaching Morrison, you can’t bring half-baked ideas to the table here. It came to pass that Morrison was happy to oblige, keen to do so, apparently. There was such a demand for the thing that he ended up agreeing to do two shows almost back to back. That this wild idea happened to coincide with Morrisons 70th Birthday just added to the sense of occasion. Watching it back you can tell it went beautifully, happy crowds, smiling performers and beautiful sound. At one point, Morrison got soaked making his way from the car to the makeshift stage in a torrential downpour. The rain did nothing to dampen his spirits and if you watch the footage he even looks like he is enjoying himself. He was, according to reports, the definition of civility and joy. A thing of mythical wonder, witnessed by very few in the game. The thing Van Morrison decided against, reader, was playing the song that led to this charade in the first place, Cyprus Avenue itself. Because of course, he wouldn’t, that would be predictable and boring. We’ve said this before, and it might be worth repeating. You get what you get at a Van Morrison show, and you don’t get upset. If Van Morrison doesn’t want to play Cyprus Avenue, then so be it. He cares not for your opinion, critique, or ideas on how he puts on a show. Not a jot. Having been involved in music in Ireland for a number of years, there is a myriad of stories about the man. I’ve witnessed session musicians fade in horror about shows or rehearsals with other acts running on and making them late for Morrison; on one occasion I witnessed a drummer slip into near convulsions as the lunchtime show he was playing ran late. I have never seen a drum kit move so fast in my life. Van Morrison is not a man to be messed with. There are dozens of horror stories, some including soundmen, recording studios, bookers, other artists, festivals, hotels, the staff at venues he is visiting, the list goes on. We remain in awe about how he turned up to the main stage at the Feis at Pier Head, running an hour late, and walked onstage five minutes before his allotted time according to the printed programme. He literally time travelled. I would never be welcome back in Ireland if I were to divulge a 10th of what I’ve heard, worse still, half the musicians in Ireland would never work again. That’s who you’re dealing with. For Morrison fans, the story starts with Astral Weeks, even though it didn’t make any waves on its release in 1968. It managed to scrape to the 55th place on the UK charts and 59th in the Dutch charts. Yet, since its release, it has become a record that has outlived much of his work. Morrison left school in 1960 at 15 years old with no qualifications. After a stint as a window cleaner, yes, he was actually Cleaning Windows, he became involved in a number of showbands and managed a tour of Europe with one. Morrison ended up playing at the opening night of an R&B club at the Maritime Hotel in 1964 with a hastily formed band. That band became Them. Morrisons‘ talent became apparent pretty quickly. The energy of their first appearances at the Maritime became legend and Them were a smash, they quickly signed to Decca Records, released two albums and a rash of singles, Them didn’t survive but in the two years they were around they managed to release Baby, Please Don’t Go, Here Comes The Night, and Gloria. Not bad that. Van Morrison reputedly spent some time with another famous Morrison, one Jim Morrison, during a Them residency in L.A. in a short relationship that gave Jim Morrison lots to work on according to biographers aplenty. In the years since, Gloria has been covered dozens of times by just about everyone, REM, Grateful Dead, Springsteen, U2, Hendrix, Patti Smith, Joe Strummer, The Doors, AC/DC and one David Bowie. For me, Patti Smith tops them all with a sublime version. Bert Berns was the producer on Here Comes The Night, after news of Them splitting came through Berns convinced Morrison to return to New York to record with him. Morrison spent two days in the studio and was a little surprised to discover that the work from those two days had been released by Berns as his first solo record, with no further input from Morrison. Blowin Your Mind! included Brown Eyed Girl which charted at No 10 in the US and remains a huge hit to this day. The most requested song ever on the radio in the US, it is worth repeating, he recorded Blowin Your Mind! in two days, delivering Brown Eyed Girl among its eight tracks. Berns died shortly after the release, catapulting Morrison into a bitter and violent dispute with a friend of Berns who inherited the contract via Berns widow. The dispute halted all recordings and live performances. That the new contract manager, one Carmine DeNoia, was a mobster, led to Morrison fleeing New York for Boston. That Astral Weeks escaped this melee and saw the light of day is a testament to Morrison‘s determination. In Boston, Morrison, nearly broke and homeless, signed to Warner Brothers. Warner managed to buy out his contract with DeNoia and Berns, the transaction taking place (in cash) at an abandoned warehouse in New York City. The final clause of the contract and one Morrison couldn’t escape, was for 31 original songs that would be owned and published over a year by Berns company, Bang Records. Morrison hit the studio and produced them in one sitting. If you consider that this session included tracks called The Big Royalty Check, Ring Worm, Want A Danish? and four reasonably insulting songs about someone called George you can see where he was coming from. They eventually saw the light of day on a Bang compilation. In 2017. His deal with Warner Brothers allowed Morrison to return to the studio, Astral Weeks was the end result. Astral Weeks, not unlike Blow Your Mind! was recorded in just two days. Morrison‘s previous work had been primarily with electric instruments, for Astral Weeks everything was stripped back to acoustics and strings, allowing the Jazz edge of many of the songs room to grow and change. Much of the record is about love, about pain, about other people in Morrison‘s world and the tales many of us share. Much of the writing is said to have been undertaken in a stream of consciousness, the writing process itself taking very little time. You get the distinct impression that Morrison is one of those people that had to do music, there was no other option for him. This wasn’t a project, it wasn’t something to tide him over, this was everything. It is a beautiful album, let’s walk through it. 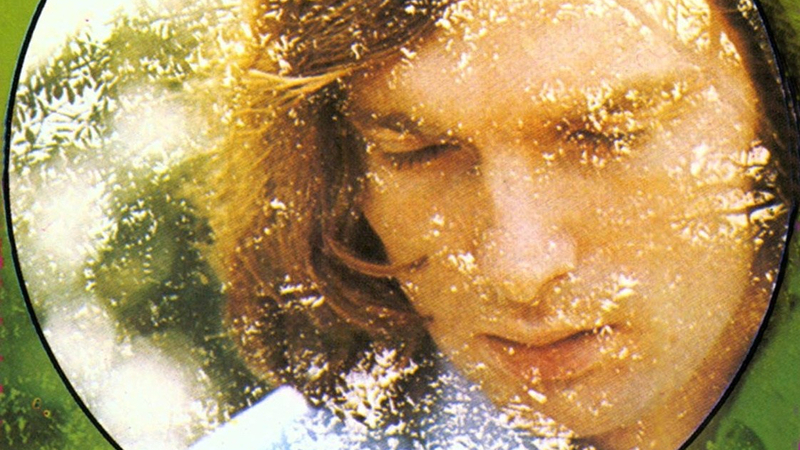 Astral Weeks is probably Morrison‘s first brush with faith, otherness and the thin line between here and wherever there is, a theme that plays again and again through his work. His hint at being a stranger in this world might suggest the transatlantic move brought with it difficulties outside of the mob and contractual arrangements, but there is light at the end of the tunnel. It is light, flows beautifully and like every other Morrison song, you’ll never hear it sang the same way twice. When you listen to the lyrics of Beside You, you hear snippets of Morrison‘s home, the six bells of St Donards Church, the old railway lines that ran near his house on Hyndford Street, its a song about running away from whatever ails you to be beside the one you love, the friend, the lover. A song about love, a song filled with passion and yet flooded with an innocence about the world around us, the first verse could be the opening scene to a French film about love, you’re left wondering just how many weddings this one has been used to mark the first dance. Cyprus Avenue is the hook that holds Astral Weeks together. The actual Cyprus Avenue is a ten-minute walk from Hyndford Street where Morrison was born. The difference could not be starker, Hyndford Street is made up of two up two down terraced houses, back to back and in the 60’s likely overflowing with dock workers and men from the Shorts aeroplane factory. Hyndford Street, looking towards Cyprus Avenue. When Morrison was young Hyndford Street would have been pretty grim. Cyprus Avenue, on the other hand, is palatial, mansions, gardens, a grand avenue and a lot of money. This song, alongside Madam George, was noted as a stream of consciousness, according to Morrison. For me, I hear anger, I hear snippets of jealousy, but there is something deeper, an infatuation, something or someone is driving him to distraction. The song builds and builds, pulling you into its madness. A song about a first kiss, love in the throes of youth, infatuation, courtship, it is full of energy and passion. Often described as a bit of an anomaly, it doesn’t quite fit in, it’s more up-tempo, jazzier, bigger even and sounding very different for it. But, you get what you get, remember? Turning in at just under ten minutes, Madame George is about moving on, about change, leaving the comfortable behind. Or it’s about something else entirely mysterious that we may never solve. Morrison has often stated that Madame George is not about a drag queen who may or may not have lived on Cyprus Avenue but for me, there is something in it, given how many songs he has written about whoever this George person is. Of course, George could be him given that Morrison was christened George Ivan Morrison, it could be a drag queen last seen living as a recluse in the Republic of Ireland or it could be a song about heroin if the drug is his Madame. It all depends on your viewpoint. Don’t ask Morrison, he claims to have no knowledge of its meaning or just is not for telling. Either way, it is a beautiful thing with a string section to die for. There is a playful version of Madame George on the BBC Sounds page (here) at the 10-minute mark, but listen to it all, lots of Northern Irish acts giving their versions of the album. This is either a song about his first wife Janet Rigsbee, whom he married to avoid deportation, or it could be another flash of visions about dancers, no one really knows. Another long track at seven minutes, it shows off Morrison’s vocal range in pretty spectacular fashion. Slim Slow Slider is the only track that didn’t have strings laid down over the original recording and it stands out for its simplicity for that alone. It is gentle, meandering, and sweet. It doesn’t make much sense, but it highlights the lack of a narrative throughout this record, it is also a beautiful place to finish, if not a little melancholic. Beautiful though. For his second solo album and the first he had any control over, Astral Weeks is a thing of beauty. As a piece of recording history, it has had a huge influence over the last 50 years, far outweighing the two days to took to record. Martin Scorsese has said that the album was the basis for the first part of Taxi Driver, it has influenced everyone from Bono to Bruce Springsteen and is on every list of every great album ever written. Morrison is about to release his 40th Studio Album, The Prophet Speaks, in December, the two-day recording process has followed him throughout his career, so has his ability to defy expectations and deliver hit after hit. His work ethic is remarkable, his energy intact and still boiling. He clearly isn’t done yet. Thanks go to Stuart Bailie for the images of Cyprus Avenue and Hyndford Street.